What a cute little surprise I got in the mail when this little gem arrived. Recipes for Warming Hearts is the third book in the Recipes for a Cause series which includes Recipes for Kindess and Recipes for Saying Thanks.﻿ Recipes for Warming Hearts is the perfect little addition to a birthday card for a friend. This is a full-color gift book filled with beautiful Gooseberry Patch art work. The pages are scattered with inspiring quotations, tips, and stories from the Gooseberry Patch family. Oh, and there's some recipes, too, that are perfect for year round cooking and giving. Have a favorite gardener on your list? Tuck a new pair of gloves and a few packets of seeds inside a new terra-cotta pot. Simple turn the saucer upside down and place over the opening of the pot, and secure the "lid" with a plump bow. Don't worry. I found some recipes, too. There are plenty of desserts, breads, and main dishes to go around. I was drawn to this recipe. My boys loved them! Prepare cake mix according to package directions. Fill paper-lined muffin cups 1/2 full. Combine remaining ingredients; drop by teaspoonfuls onto batter. Bake at 350 degrees for 20 to 25 minutes. Cool completely. Makes about 2 dozen. So, I ventured out of my comfort zone here. I am not a crafty person even if it's something as simple as layering ingredients in a jar. But, I wanted to try something new and I was actually able to pull it off. Now, I just need to find a willing recipient. ETA: Place mix in a large bowl. Add 2 beaten eggs, 2/3 cup oil and one tsp. vanilla extract. Blend well. Spread in a greased 8x8" baking pan. Bake at 350 degrees for 30 minutes, or until center tests do. Makes one dozen brownies. So, are you interested in getting your own copy of this little book? I hope so because I have an extra one to share with you. You can keep it for yourself or give it to a friend. The holidays are right around the corner you know. I'm interested. I like the Gooseberry Patch. They look so fun, but I have never had one of their cookbooks. And I love to cook and bake. Oh how I love the Gooseberry Patch cookbooks! I am thankful for the opportunity to win one! Thank you so much! Already following and would love to get my hands on this book! I'm following your blog through Google Friend Connect and I'm interested in this giveaway. I already follow you, and I am a huge fan of Gooseberry Patch! Already a follower. Please do count me in. Sounds like a great cookbook to have! I'm already a follower. I would love to win. I am a follower on google. I was hoping to win the cookbook that ended yesterday. I LOVE GOOSEBERRY PATCH AND this site!!! I love to find new cookbooks. God Bless you and your family praying that i win this time. I love your recipes and tips. I love Gooseberry Patch cookbooks! They are so fun to read, along with all the yummy recipes. I would love this! Anything from Gooseberry Patch is a winner! I'm already a follower of yours..smile...and would LOVE to win this, as Gooseberry Patch is one of my favorite cookbooks!! I would LOVE to win this cookbook! I've been cooking since I was 6 years old. Put me on the "interested in the cookbook" list. I'm a follower! I recently found your blog and am now a daily reader! I'd love a chance to win this cookbook! YUM!! YUM!!! YUM!!!! HOW DO I DECIDE!!!! You and your site are amazing! Winter, Spring, Summer or Fall....there is ALWAYS a recipe for the season!!! LOVE IT!!!! I am ALWAYS interested in a new cookbook! Thanks for the chance! I am now a follower! All Gooseberry Patch is good! I would love to receive this cookbook. I'm busy working mother/wife and I'm always trying to find new recipes to share w/my family and friends!! Hope you consider me for this wonderful giveaway!! I follow your blog faithfully! Would love to add this book to my collection. Great website, great recipes! Love your brownie in a jar idea! Thanks for sharing that. I would love to have this cookbook! I have been a Gooseberry Patch customer for years and love your cookbooks. yayaya not to late..hey f.b family .I'm following your blog through facebook and I'm interested inthe giveaway.. I am a new Google follower. I would love to win this cookbook - there is nothing like Gooseberry Patch!! I am a follower and would love to win the cookbook. I am already a follower of your blog on Google Friend Connect! Both these recipes sound so yummy! I would love to win this new book. I am also a follower through GFC. 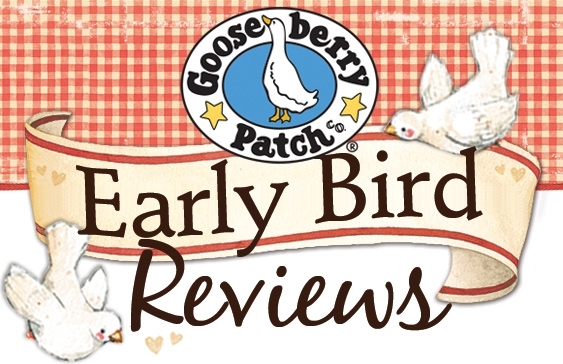 I'm a gfc follower and I love anything that has to do with Gooseberry Patch. love to win the cookbook. thanks for the chance. I would love a copy of this book! Sounds wonderful! Sounds like a great little book I would love to have. I just signed up to follow. Love Gooseberry Patch. Recipes you've posted sound great! Please enter me in this drawing. I'm a follower & I love your blogs! It would be wonderful to have this book!!! 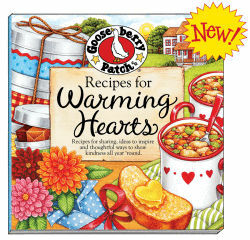 Would love to win the new Gooseberry Patch "Recipes for Warming Hearts" to add to my Gooseberry Patch every growing collection! I loved the two recipes you shared here! Thank you!! I am a follower and would love to be a winner ~ thank you for what you do.... and sharing with all of us!!! Have a great day! I love your wallpaper and your site has really caught my attention. I am michelerae53@yahoo.com. Hi, I just followed your blog on FaceBook. Would love the chance to win this GB Patch book! Thanks for the opportunity. 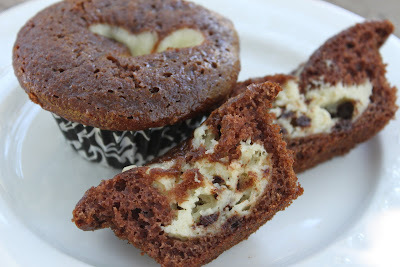 Thank you for such a wonderful blog and so many yummy recipes. I really want to add this book to my collection please. 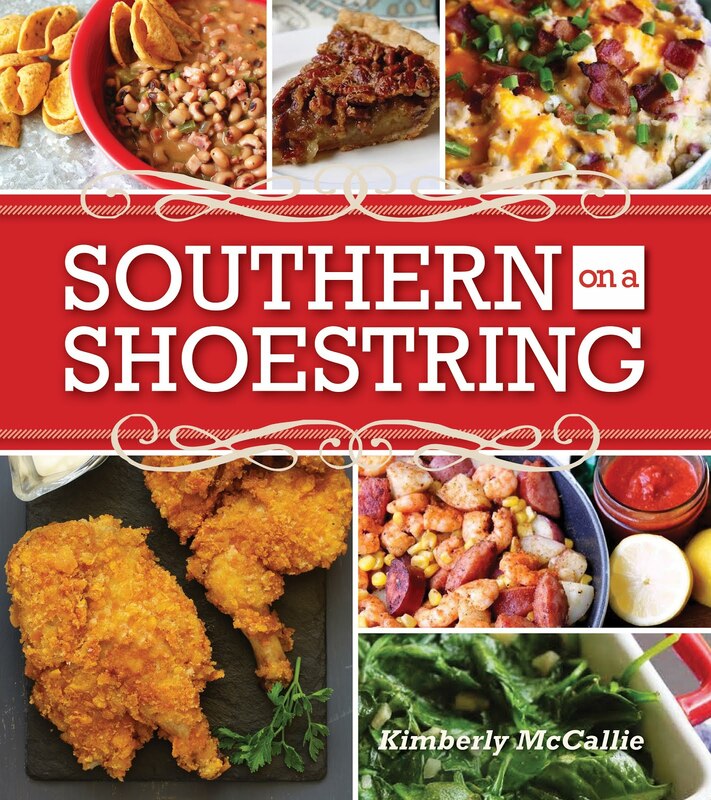 I would love to own this cookbook - thank you for offering such great giveaways! Oh, those cupcakes sound decadent! Thanks for sharing and for the opportunity to win Gooseberry. I just became a follower of your blog and look forward to trying some of the great recipes that you have posted! I love Gooseberry Cookbooks and would love to win this one...it sounds like a really good one and the cover is darling!! I follow you through GFC and would love a chance to win! I follow your blog with google friend connect. I would love to enter. Hi... new Networked Blogs follower here. Thanks so much for hosting this giveaway. I don't know why it's taken me so long to discover Gooseberry Patch, but they have the greatest books ever! Would love to receive the cookbook. Am a new blog follower. I'm following on Networked blogs and I would love a chance to win this cookbook! I can't wait to try the Coconut brownies in a jar -- what a nice gift it would make! Thanks for including me in your giveaway. Would love to win this--I am a follower. I am a follower and would love the chance to win this book - thanks. Well hello!!! I'm a new wife and I would love the cookbook to impress my inlaws this holiday! For this is my first time cooking for the family and would love to make it speacial ! Already took the free recipe! Thanks! So if u got enuff I would love to win one!!! U girls rock!! :-) my e-mail is foxy74935@yahoo.com thanks!!!! I love Gooseberry Patch... I am a follower please enter me in your contest... ddelrae@gmail.com Thanks! I would love to have one of your cookbooks. I don't have any of your books..Thank you for the chance to maybe be a winner. 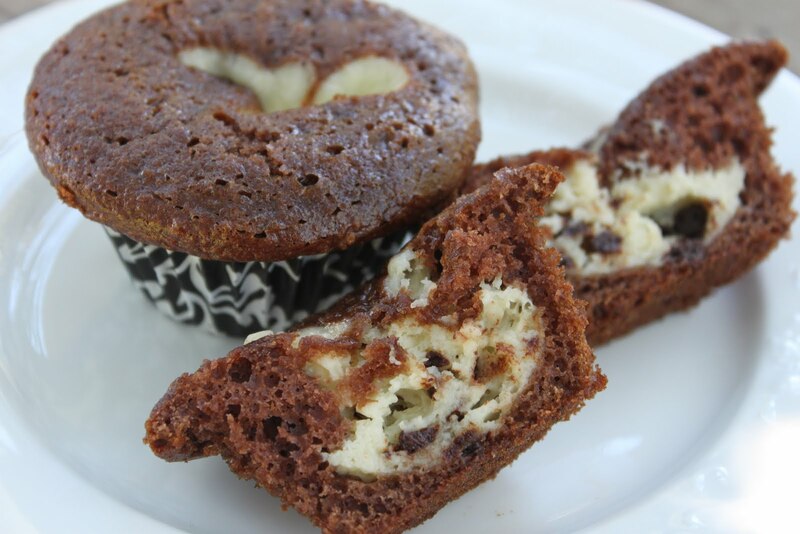 It is such a treat to receive one of your emails describing a new book or new recipes. I wish there was a store in my part of the world that sold your cookbooks! Newfoundland being on the most easterly part of Canada makes it difficult to shop your products in person. So i would love to receive this new cookbook! really enjoy Gooseberry Patch and would love, love,love the cookbook.